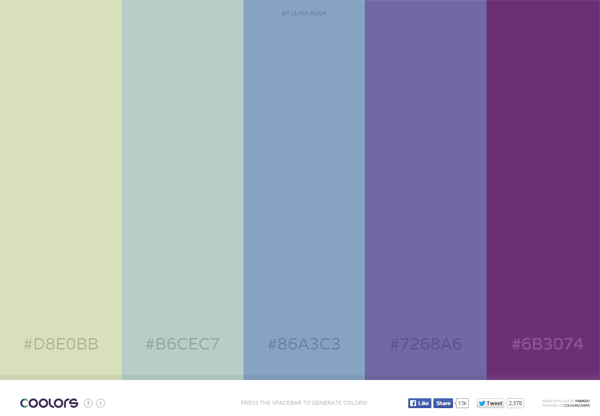 If you’re looking for a super simple and quick tool that will help you create color schemes, head over to Coolors, a beautiful and user-friendly color palette generator developed by Web/app designer/developer Fabrizio Bianchi. The color palettes in Coolors are user-contributed. Navigating the color palettes is fast and easy: Simply press the Spacebar on your keyboard and you’ll be shown a new set of colors. When you find colors you like, click on them to lock them in place. 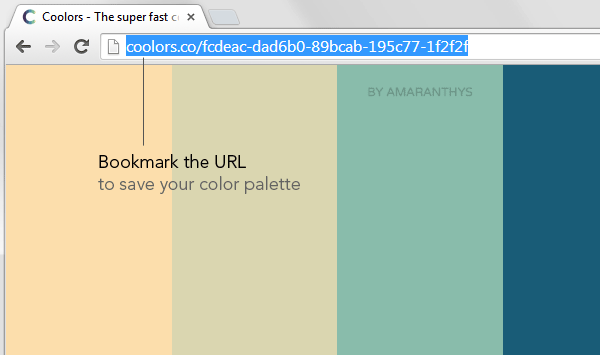 Once you’re happy with your color scheme, you can bookmark the URL to save it for a later time. Coolors is a handy tool for the times when there just isn’t enough creative juices flowing through your veins. At the minimum, this nifty color generator can give you a starting point for generating color schemes.